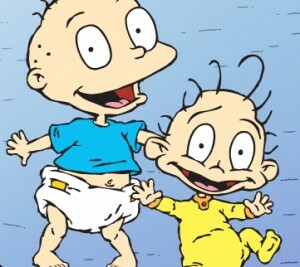 Television shows we cherished while growing up, such as "Rugrats," will once again be available from midnight to 2 a.m. Photo courtesy nickelodeon.com. The block will feature a changing selection of the live-action and animated shows we grew up with, including “All That,” “Clarissa Explains it All,” “The Adventures of Pete and Pete,” “Rugrats,” “Rocket Power,” “Salute Your Shorts,” “Kenan & Kel” and “The Amanda Show.” Nickelodeon is taking additional requests from people on via social media web sites to add more shows to the program. But, you have to be a night owl to watch them, as they’ll play from midnight to 2 a.m. seven days a week. I grew up watching nearly every episode of “Rugrats” and admiring Amanda Bynes’ rapid rise to fame, so this is the best change a TV network has made in a while. Rather than cranking out cookie-cutter family sitcoms or cliché cartoons, Nickelodeon took a step in the right direction by giving fans exactly what they wanted. These shows may play in the wee hours of the night, but I’m willing to bet that many others who grew up in the ‘90s won’t mind staying up for these iconic classics. I miss these shows so much. I’ll definitely stay up to watch them. It’s been so long since Nickelodeon had good stuff. Nowadays, all they have is stuff like iCarly, which is just painful to watch. I LOVE THE AMANDA BYNES SHOW! Bring back Jimmy Neutron and As Told By Ginger Too. I’m extremely excited for All That, Rugrats, and Rocketpower!! I love these shows!! i am so excited and cant wait!!! My only request is that the following shows come back as well. If Nick is getting this idea I thinks It’s time for Cartoon Network to bring back some of its old shows.